Getting your work noticed is as important as ever, and social networks offer lots of ways for chemists to reach new audiences today. ACS hosted a webinar on May 23 and invited Dr. Antony Williams to discuss his experiences using social media tools to promote his research and make suggestions on how you can do the same. Williams is a computational chemist at the National Center of Computational Toxicology at the EPA and has a great deal of experience in using social media tools to increase the exposure of his work and to connect with others on related research. He said that scientists operate in an increasingly noisy environment, and with so much noise, he believes it’s up to researchers to market their own work as best as they can. If you are able to direct people to your work, they may find something they are interested in but didn’t know to look for. The first step is to register for an ORCID identifier if you don’t already have one. There have been more than 3 million issued, and Williams said he is increasingly asked to provide his identifier. The number allows you to link to all of your work and share it as a link on your website or social media accounts. You may also want to keep a website where you can post about your work and list your contact information. Next, you should set up an account on LinkedIn, a social network for professionals. Your profile can act as an online resumé, and you can keep it up to date with highlights of projects that you have worked on. With LinkedIn, you can connect to other professionals you have worked with, or seek to network with, Williams said. “The network you’re involved with throughout your career says a lot about your skills, I believe. I think it communicates your ability to participate in a team. Almost all of us have had projects in our career that we can highlight as being significant,” he said. LinkedIn allows you to manage articles on your profile, and even invite coauthors to link themselves to those articles. Each time you update your LinkedIn account, a notification goes out to everyone in your network, which means that the larger your network, the more people will see your work. You can enhance your profile with recommendations and skills. If you have worked with someone, you can ask them to write a short recommendation for you. LinkedIn also allows you to add skills to your profile, or receive skill suggestions from those in your network. Williams suggested a slew of other sites that can be used to spread the word about your work, including SlideShare, which is now owned by LinkedIn. It’s a platform that allows you to upload slide decks from your presentations, and it can post your slide decks to LinkedIn, as well. Williams said he has uploaded more than 300 presentations and has seen the number of people accessing his slides grow over time. Now that your work is out there on several platforms for your contacts to see, it’s time to track how your articles are doing. For this, Williams suggests ImpactStory, which tracks social media engagement on your last 100 publications, AltMetric, which gives you a score on how your article is doing on everything from social media to news outlets, and Google Scholar, which tracks publications and citations, allows click-throughs to related articles, and creates a profile for you which you can curate. 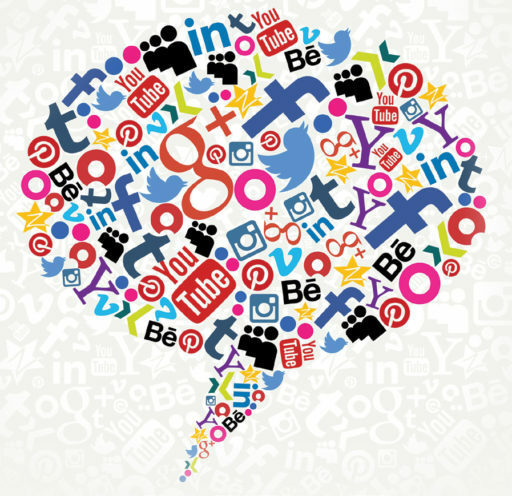 There is no shortage of social media tools for researchers. Williams said it’s up to you to see which platforms work best. You should spend at least two hours every month actively building your online profile by sharing data, papers, and presentations, so ensure that your work gets noticed.